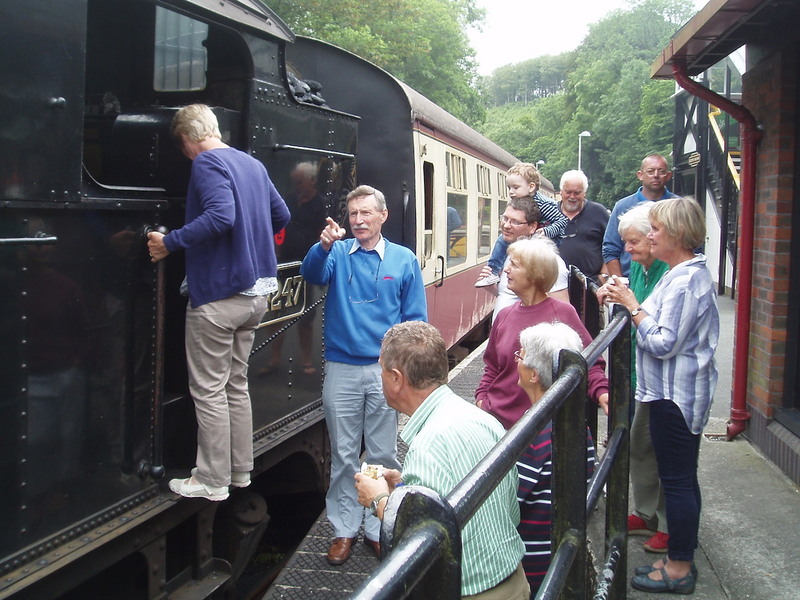 Twenty one members of the Constantine History Group enjoyed a visit to the Bodmin and Wenford Railway for their June meeting. The group were led by committee member Richard Clowes, also a firemen on the heritage line. 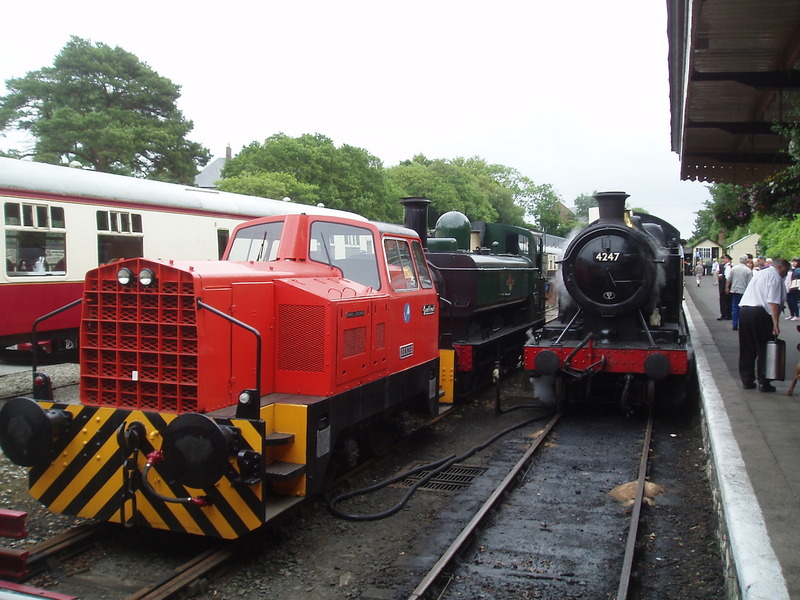 Members boarded the 11.15 for Boscarne Junction where on arrival they watched the run around of engine 4247, which is now over 100 years old and has a Cornish pedigree having been used for the haulage of China Clay to the docks at Fowey and Par. On return to Bodmin General, the group then travelled to Bodmin Parkway and enjoyed a pasty lunch and a commentary from Richard. On the return to Bodmin General the group alighted and had a tour of the loco works where they were able to see tank and saddle tank engines and the oldest engine currently on the line a T9 No 30120, dating from 1899. Once there were 66 of these locos, this is the only one to survive in steam. The visit ended with a look into the very spik and span signal box. 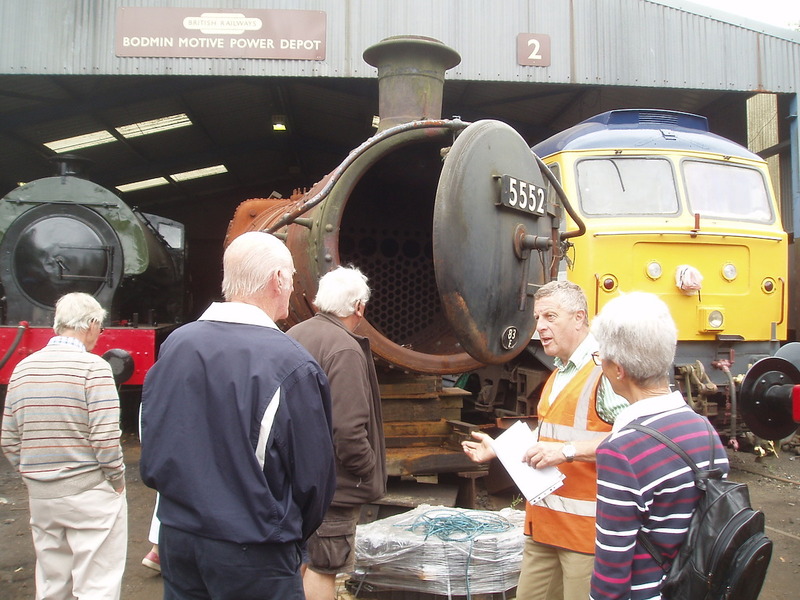 Constantine History Group member Peter Tatham investigates the engine while the group look on.